Wondering how to logout from the Start menu, improve the look and feel of the Start menu, taskbar, and action center, as well as get the Start screen back? Read on. Ever since Windows 10 rolled out on July 29, we’ve offered an endless stream of Windows 10 tips on this column and elsewhere on PCWorld. Unless something big comes up that is really useful or cool, we’ll be taking a Windows 10 break here on Hassle Free PC, and going back to offering tips that nearly any Windows user can take advantage of. Don’t worry, Windows 10 coverage is still ongoing for the rest of the site. 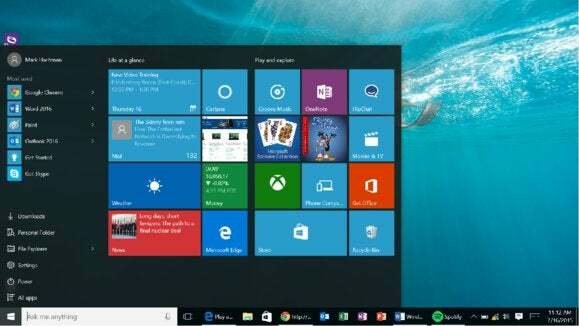 For this column, however, here’s one more hurrah into the world of Windows 10 with some minor tweaks that can make a big difference on how you use your system and change its looks. Log out from the Start menu. I’m a creature of habit. If something I knew how to do in Windows 8.1 still works in Windows 10, that’s good enough for me. But one issue I kept coming back to is why in the Sam Hill did Microsoft make it so hard to log out of the current account? The only way I saw to do it was to right-click the Start menu button and select Shut down or sign out > Sign out. The other way I could do it was to hit the Windows logo key + L to lock the screen and sign-in another account that way. Ready for it? Click Start and then click on your account picture. From here you can change your account settings, lock the screen, sign out, or switch to a new user. I admit I was blinded by own habits in this case, but if you’ve had the some question in the back of your head, now it’s answered. The Action Center in vibrant blue and transparent. There are two useful tweaks to improve the look of your Start menu, taskbar, and action center by making them transparent. You can also automatically set the color of these three items based on your wallpaper instead of the standard dark theme. Depending on your tastes, you can pick one or both of these features. Well, it’s there if you want it. Really? You liked Windows 8 so much you want the Start screen back on a mouse-and-keyboard PC? Okay, I’m not judging, but okay. If tablet mode is available for your PC, you could just turn that on. If not, go to Settings > Personalization > Use Start full screen and slide this option to On. This will give you a Windows 10 take on the Start screen, which is more or less the new Start menu blown up into full screen mode. You’ll have to tweak it by adding more live tiles and there is no longer a full screen “all apps” view. 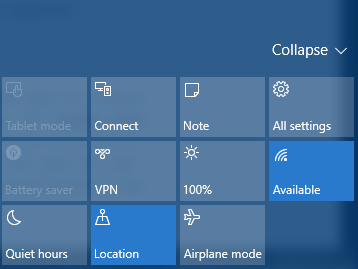 Instead, clicking on the “All apps” icon, which is no longer named in full screen view, reveals a Start menu-like list of all your apps on the left side. If you change your mind, returning to the Start menu is easy as going back to the Settings app and reversing the previous steps. You don’t even have to sign out to switch between the two Start modes. There you have it. 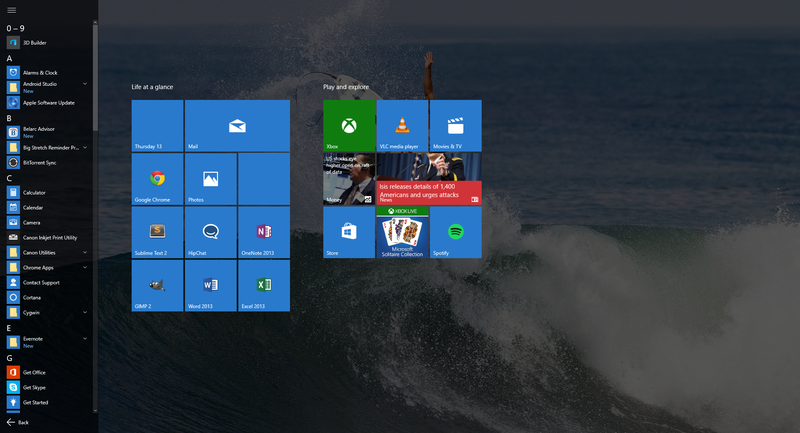 Three simple tweaks to improve your time with Windows 10. See you next week, Windows 7, 8, and 8.1 users.